A wonderful new news app from Reuters kicks off this week’s must-have apps list, providing you with an “unprecedented photography experience” that allows you to immerse yourself in the biggest news stories from around the world. Also included in the roundup is a terrific app for making mobile websites from your iPhone, a new weather app, and more. The Wider Image is a terrific new app from Reuters, the world’s largest news agency. It offers an “unprecedented photography experience” by bringing news images and information to life. It features over 100 stories from Reuters photographers around the world, with new stories added each and every day. The Wider Image gives you more context on every story by allowing you to interact with image sequences, read expanded facts and quotes, reflect on the “before and after,” and hear the words and sounds. You can actually see what’s happening in the places you care about, and discover places you’ve never even heard of. 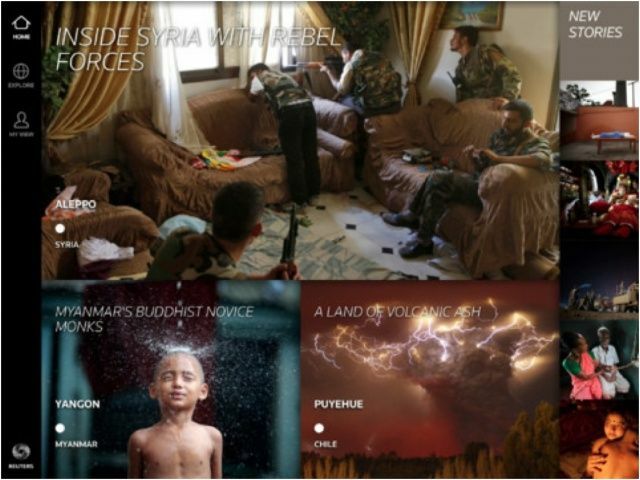 And with photographer profiles and in-the-field witness commentary, you can get to know the photographers behind the images. 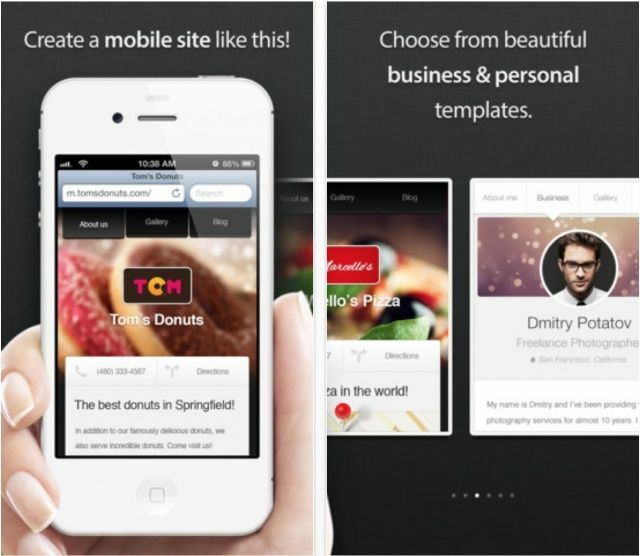 M.dot is an awesome new app that allows you to create stunning mobile website using only your iPhone. It features a nice selection of personal and business templates, to which you can add your own content and information, including features and additional pages. You can add nifty features like ‘Call Me’ buttons, as well as map directions. And the best part is if you already have a website of your own, you can use M.dot to create a mobile version; it’ll “scrape” all your images and text and create a mobile-optimized website. You’ll use exactly the same domain, only it’ll have an ‘m’ at the beginning of its URL, such as ‘m.yoursite.com’. M.dot is probably one of the most impressive iPhone apps I’ve played with in a while. I don’t know of another app that allows you to create mobile websites that are this beautiful in such a short space of time. Checkmark was chosen as one of my must-have iOS apps when it make its App Store debut back in July, and I’ve been using it every day on my iPhone ever since. 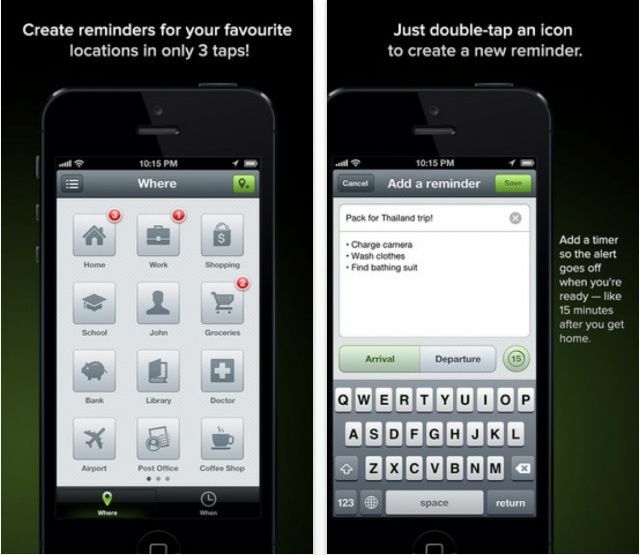 It’s a wonderful task management app that boasts a great user interface, which is quick and easy to use use; you can create reminders in seconds. Like iOS’s built-in Reminders app, Checkmark allows you to create location-based reminders that pop up when you arrive at or depart from a certain place. For example, you can use it to remind you to pick up milk when you walk past the store, or to call your mom when you get home from work. So why am I including it as a must-have app again? Well, Checkmark got a new update this week that makes it even better by introducing recurring reminders, “snooze reminders,” and support for the iPhone 5. 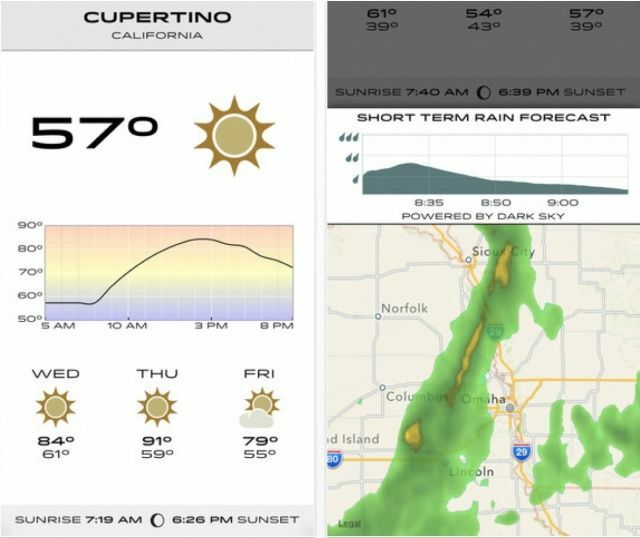 Check the Weather is a new weather app for iPhone that promises to provide “fast, clear and beautiful weather data.” Instead of packing tons of features into a crowded user interface, Check the Weather uses a streamlined dashboard with easy to access forecasts. It uses simple swipe gestures that allow you to dig deeper into the weather to get more information. The app offers current conditions, hazardous weather alerts, hourly and extended forecasts, and for users in the United States, a live doppler weather radar map and short term precipitation forecasts. Check the Weather also offers VoiceOver support, allowing you to take advantage of iOS’s built-in accessibility feature and have your forecasts read to you by your iPhone. There is one thing I don’t like about Check the Weather, and that is its strange font. But apart from that, this app’s great.